Erika Christine Deherrera is charged with first degree attempted murder, which could carry a life sentence. At a preliminary hearing last week, San Luis Obispo Judge Michael Duffy upheld the attempted murder charge, as well as charges of felony assault with a deadly weapon and corporal injury on a spouse or cohabitant. On June 17, Deherrera allegedly lured Robert Johnson, 55, to a secluded location, began rubbing his shoulders and titled his head back. Deherrera then cut his throat from one side to the other with a box cutter, Johnson said. Johnson, who lives in Hawaii, flew back to San Luis Obispo earlier in the month to pack up items he had left behind. While in the area, he received a call from Deherrera, who said she lost all of her belongings in a fire last March in Atascadero. After hearing the story, Johnson agreed to lend Deherrera $300 and chauffeur her to shopping and a job interview. While at Home Depot in San Luis Obispo, Deherrera bought a box cutter, Johnson said. The two were driving to Sunny Acres, where Deherrera was living, when the woman asked Johnson to stop at the Bishop Peak trailhead so she could “chill for a bit.” They then walked to a small pond to sit on the ground and talk. Deherrera offered to rub Johnson’s back and did so while he talked about his life in Hawaii. She then titled his head back and jabbed the box cutter into his neck, Johnson said. Johnson said Deherrera started slicing his throat after acting like she was going to crack his neck. He then grabbed her and threw her over the top of himself. The two fought over the box cutter and Johnson punched Deherrera in the face and kicked her before running away. 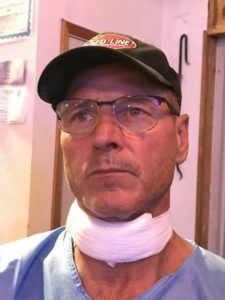 An ambulance eventually transported Johnson to Sierra Vista Regional Medical Center where he received treatment for a seven inch cut that sliced through his jugular vein. 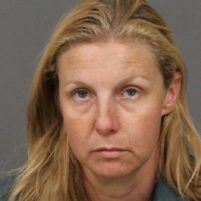 San Luis Obispo County Sheriff’s deputies found Deherrera hiding in bushes and arrested her. Deherrera currently remains in SLO County Jail with her bail set at $500,000. She is due to return to court on Aug. 10 to re-enter a plea. Another one of our best and brightest homeless bums. Keep looking the other was SLO, as these bums and addicts continue to infiltrate this town. your neck could be the next one one the chopping block. California uses the death penalty every day they kill the inmates with kindness. I remember in the early sixties at CMC they were called residences not inmate and it was thei room not cell.